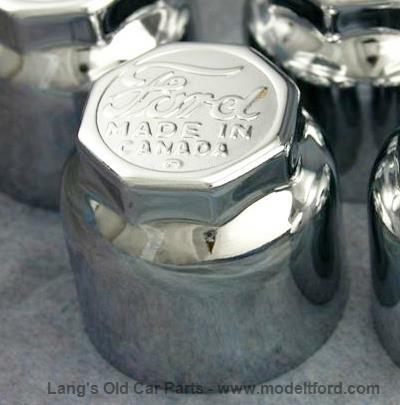 Canadian hubcaps, Nickel plated, stamped with “Ford MADE IN CANADA”. Sold each. For use the wood wheels.